DEATH PENALTY NEWS: No action has been brought against the State of Georgia for locking a defenseless inmate in a cell with a mentally ill killer, Warren Hill, who was somehow armed with a board of wood with nails driven through it. Hill beat the defenseless inmate to death. 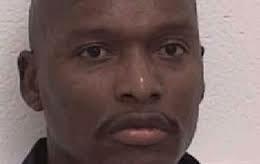 Hill won another stay of execution, and his death warrant expired on July 20. If Hill's execution is ever carried out, it will signal to correctional officers across the country that all they need do to rid themselves of inmates they despise is to lock them in cells with armed mentally ill inmates like Hill, and no questions will be raised as to the prison's negligence or intentional setup for murder. There are currently 1.25 million mentally ill people incarcerated - plenty to go around. Everyone who cares about human rights for American prisoners should be very concerned about what happened to Hill's cellmate, because it could happen to any prisoner. Other Georgia inmates have also been killed by their mentally ill cellmates, including an inmate in DeKalb County Jail. Prison investors should be concerned. This form of genocide might catch on nationwide and reduce America's prison population and profits. Georgia has made the method by which it acquires pentobarbital a "state secret," which Hill's lawyers say raises questions about needless suffering and separation of powers.